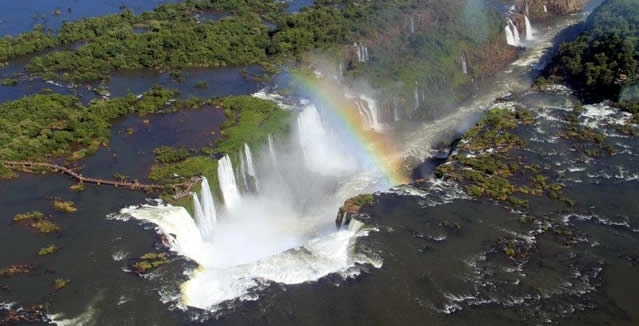 Your tour of Iguazu Falls takes you to see the 275 separate falls that together make up Iguazu Falls, the most beautiful waterfall in the world. 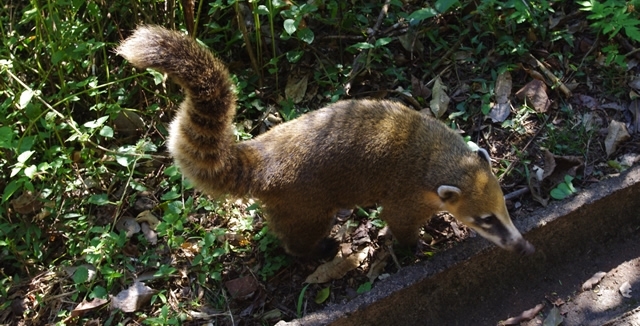 You visit both the national parks on the Brazil and Argentina sides. 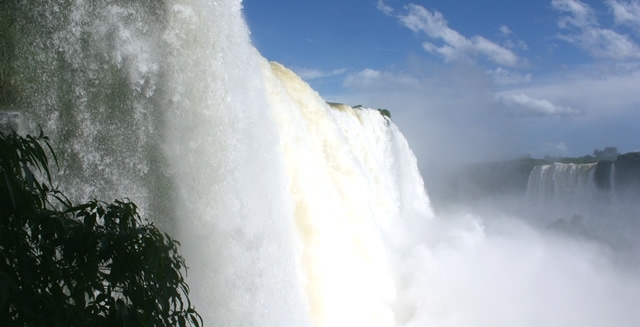 Take a few days to discover Iguazu Falls, one of the Natural Wonders of South America. Enter the national park on the Brazil side, with its stunning panoramic views. 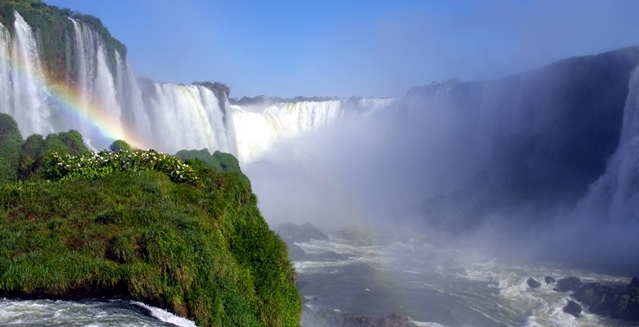 Cross the Rio Iguazu to Argentina to be mesmerised by the power of Iguazu Falls from close up. 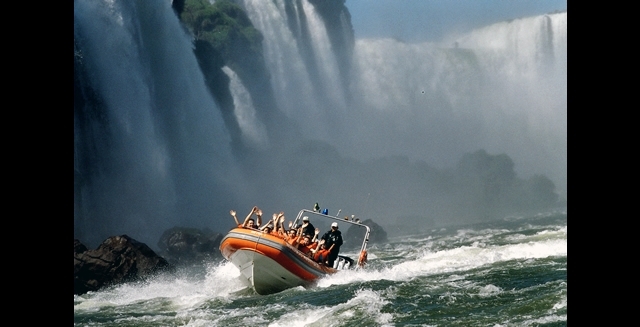 Take photographs and videos to make your time in Iguazu Falls as memorable as possible, and ride helicopters and adventure boats for the most exhilarating experience. 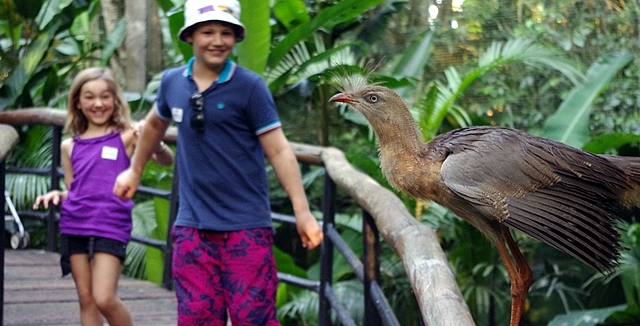 Immerse yourself in the Atlantic Rainforest among its colourful wildlife, and wander through the Bird Park hidden amongst the trees. Visit Itaipu Dam and learn the amazing story of its construction. Capture the rainbows in the mist of the world’s most beautiful waterfall when you visit Iguazu Falls with Brazil Adventure Tours. Combines With: Rio de Janeiro; Buenos Aires; Buzios; Paraty & Ilha Grande; Sao Paulo; Amazon; Pantanal & Bonito; Salvador, Lençois & Praia do Forte; even Peru on longer tours; South America Cruises starting or finishing in Buenos Aires, Sao Paulo and Rio de Janeiro. With your flight away from Iguazu likely to be in the afternoon, you may have time to visit more of the attractions of the area. The Bird Park allows you close contact with toucans, macaws, humming-birds and huge butterflies, all free to fly around the huge aviaries. You could visit Itaipu Dam, until recently Itaipu the largest hydroelectric plant on earth, to hear the fascinating story of its construction. Some time after lunch, you will be picked up at your hotel for transfer to the airport. 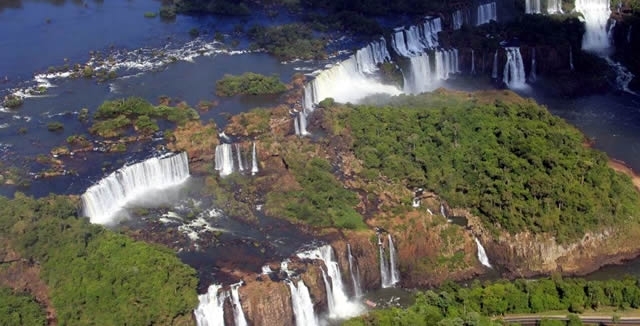 Your flight back to Rio (or Sao Paulo) may make a circuit of the falls on take-off, giving you a wonderful memory to finish your trip to Iguazu Falls with Brazil Adventure Tours.